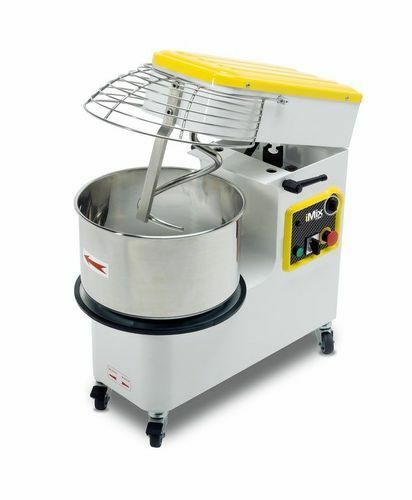 We are offering Stainless Steel RC Mixer to our clients. We “EssEmm Corporation” are a renowned company in hospitality & kitchenware industry engaged in manufacturing, supplying and exporting best quality of Commercial Kitchen Equipment & Kitchen Machineries, food processing machines, kitchen & food processing equipment. Our range is widely admired by our clients all across the global market, due to elegant designs and offering the clients true value for their money. Our exclusive range covers vegetable grinder, multi utility grinder, stainless steel vegetable grinder, chapati making machine, cutter mixer, vegetable cutting machine, potato peeler, dough kneader and combi steamer. Apart from this, we provide hood type dishwasher, broaster pressure fryers, rack conveyor dish washer, gasmate and glass dishwasher. Marketed under “Cosmos” brand, these equipment are acclaimed for trouble free performance and sturdy built.